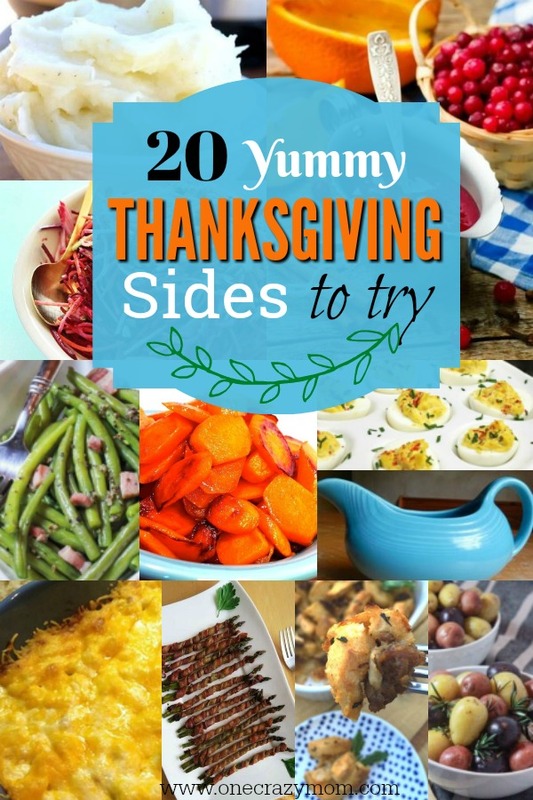 If you are looking for Easy Thanksgiving Sides, we have 20 Easy Thanksgiving Side Dishes sure to impress while being very simple to make! From old favorites to new ideas, we have something the entire family will love. I love hosting Thanksgiving dinner for my family! It can be a ton of work, but I love getting the family together. 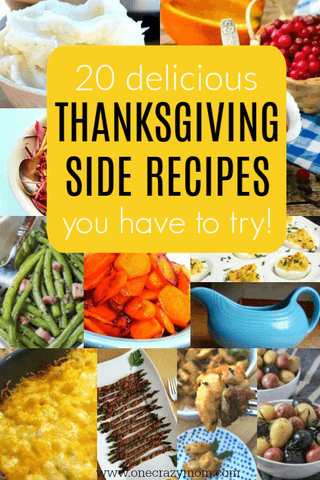 There are so many different choices for Thanksgiving side dish recipes and the easier the better in my book. Some of these recipes can be made in under 20 minutes! If you are looking for Easy Thanksgiving sides for a crowd, you are going to love these tasty ideas! Whether you are looking to add more vegetables on the table, or try something new, don’t miss these yummy Thanksgiving sides. What are the best Thanksgiving sides? We all know there are just some side dishes that you must have on the menu or it does not seem like Thanksgiving. Some of the best sides are mashed potatoes, cranberry sauce and Cheesy Potato Casserole. What dishes can you make the day before Thanksgiving? Deviled Eggs, casseroles like Potato Casserole or Sweet Potato and also cranberry sauce can all be made the day before. I actually think they taste better when you make them ahead like this. 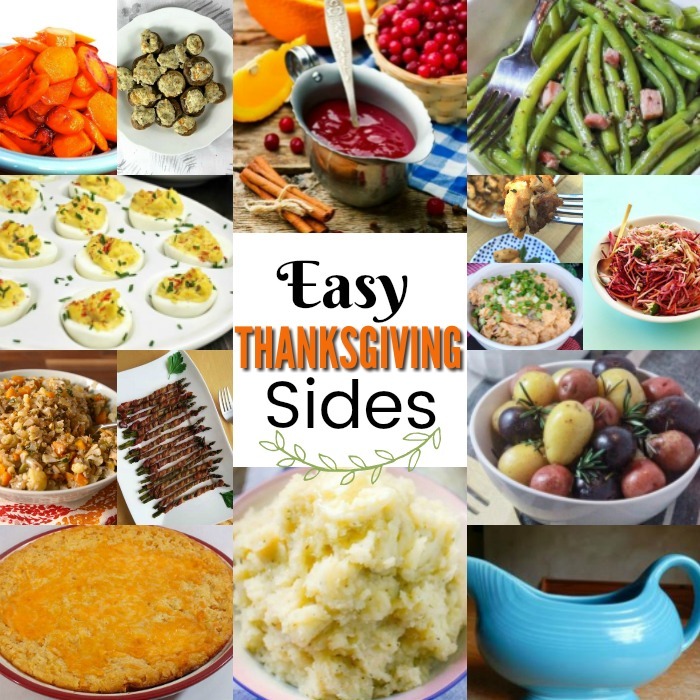 What side dishes to serve for Thanksgiving? The quicker and easier the better! You won’t spend all day in the kitchen with these easy recipes. Here are 20 Easy Thanksgiving Side Dishes to try. 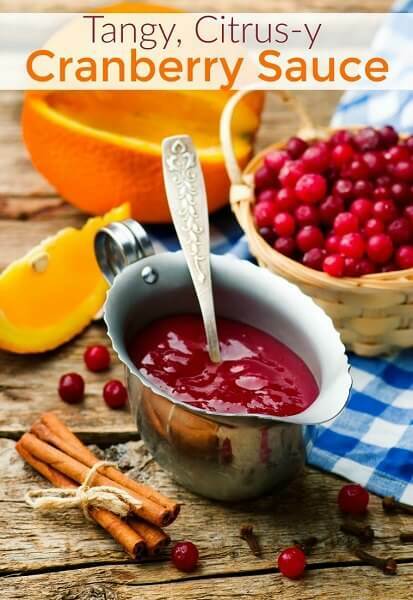 Every good Thanksgiving meal needs a side of Cranberry sauce! This recipe is low carb and yummy! 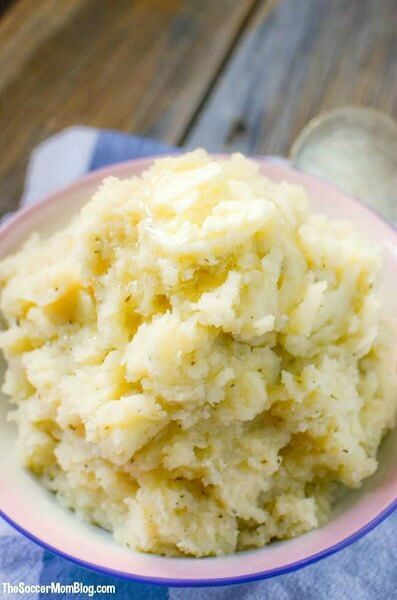 These creamy potatoes come together so quickly in the instant pot! 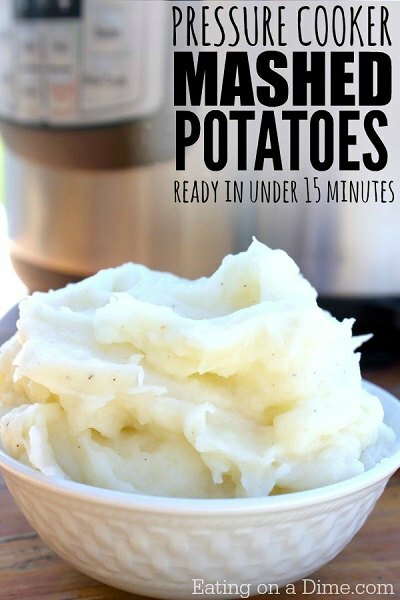 You can do it all in one pot and wow your guests with these delicious mashed potatoes. 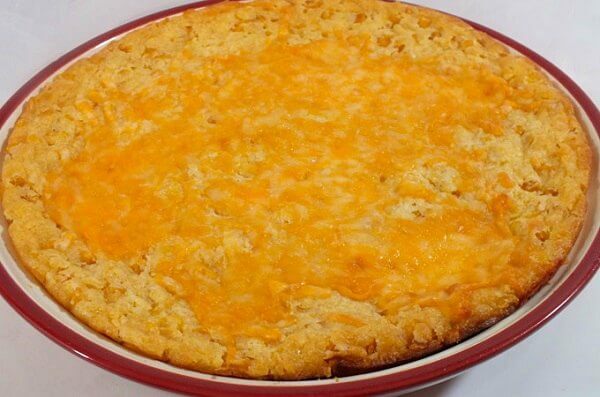 This hasbrown casserole is loaded with cheese and more for a wonderful side dish. This is always a family favorite. 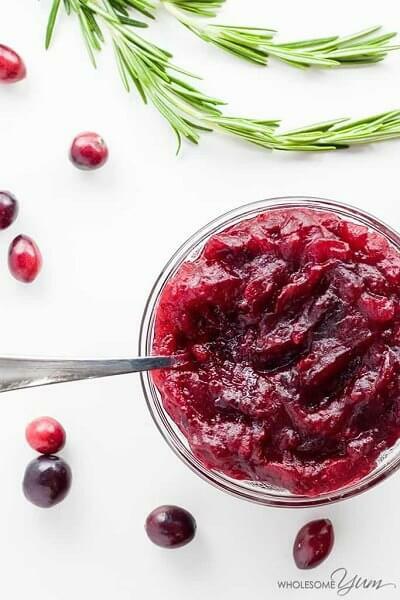 This homemade cranberry sauce is so easy! You will wonder why didn’t make it sooner. It’s sweet and tangy all in one for a really delicious sauce. 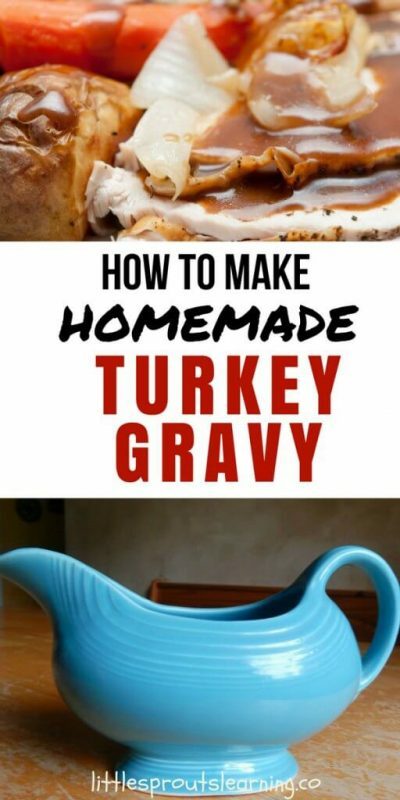 Gravy is a must and homemade is even better! You will love how easy this and it’s so much better than store bought. The secret to these glazed carrots is ginger ale! The sugar in the soda caramelize to make a sweet and delicious sauce on the carrots. Sneak in veggies in this side dish of mashed sweet potatoes. It’s so good that no will know they are eating extra veggies. 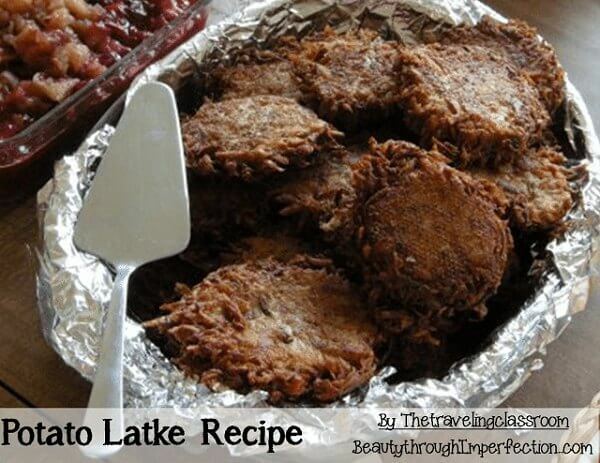 Try something different and make this potato latke recipe! 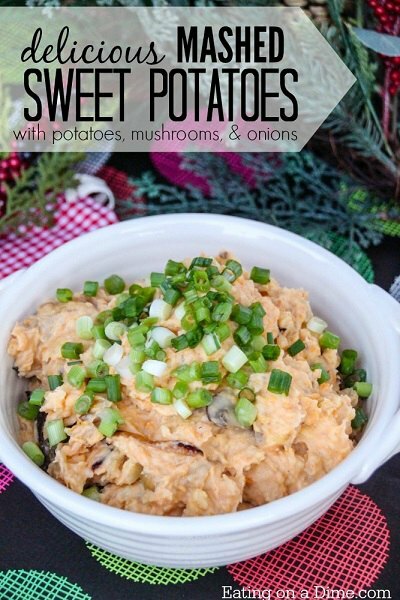 The sour cream and apple sauce make the perfect combination for this yummy potato recipe. There is just something so wonderful about new potatoes. 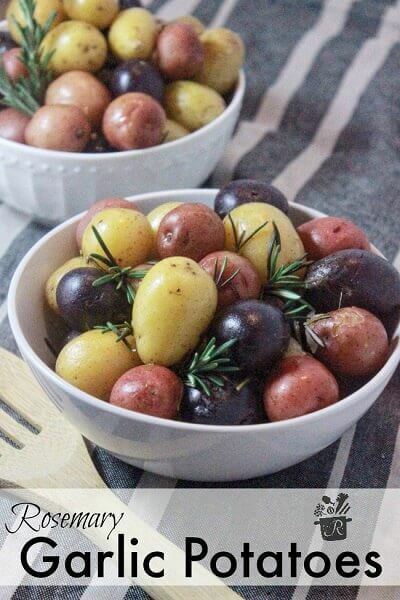 And the rosemary and garlic on these potatoes make it even better! Sweet potato’s are such a classic Thanksgiving side dish. This casserole has a decadent topping that make this good enough for dessert ! 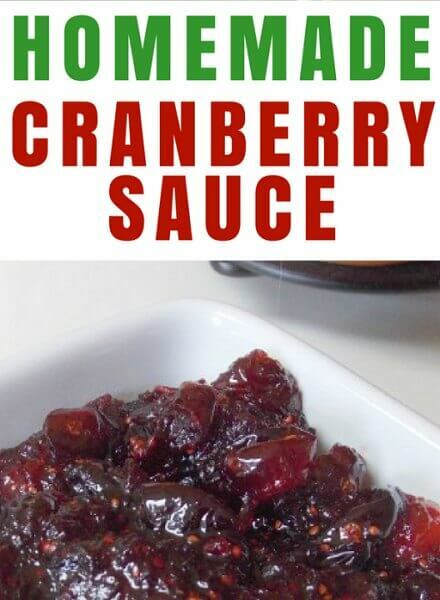 If you like your cranberry sauce a little tangy, this is the recipe for you. The citrus and the cranberry make an amazing combination. 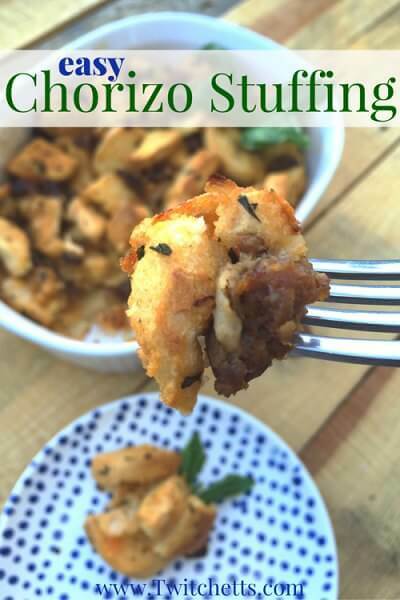 Try chorizo in stuffing for a flavor that is out of this world. It really makes this stuffing stand out! 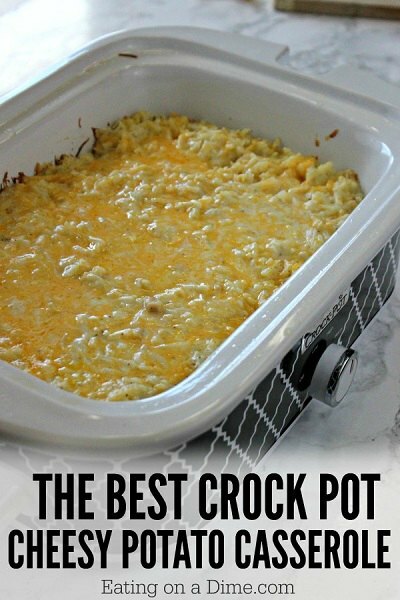 This cheesy potato casserole tastes just like Cracker Barrel’s! It’s creamy and delicious and layered with tons of cheese. Even better, make it in the crock pot! Everything is better with bacon! Asparagus gets a new twist when you wrap it with bacon. 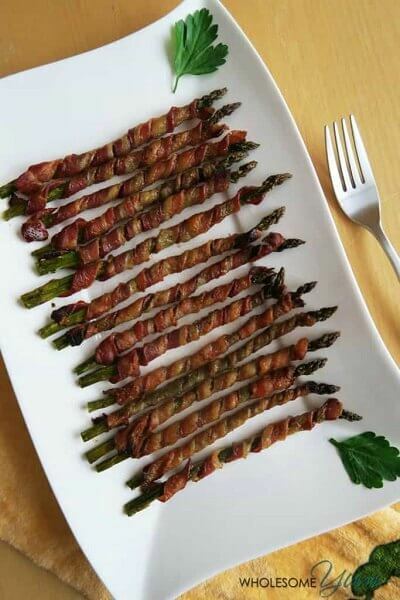 Even those that don’t care for asparagus might like it with bacon! 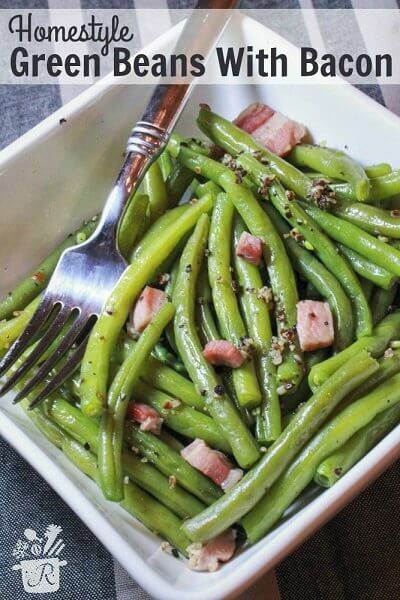 Green beans cooked with bacon make this side dish one to remember. You will love the flavor. Mushrooms full of a yummy stuffing make a wonderful side dish (or appetizer). 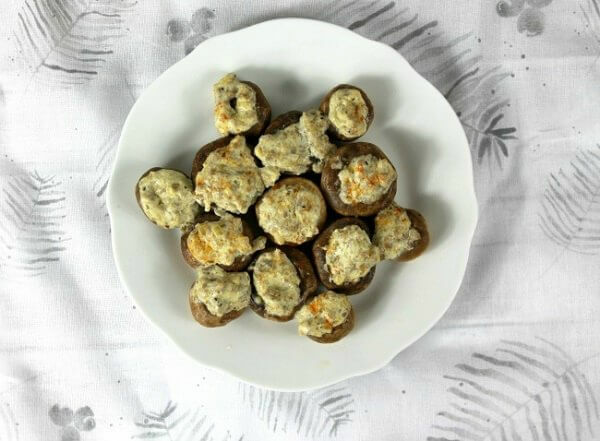 The cream cheese mixture make these mushrooms so creamy and delicious. Low carb! Yes please! 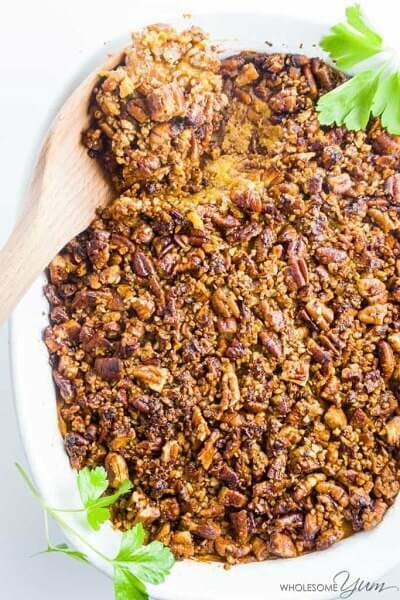 Try this sweet potato casserole that is just as amazing as the traditional recipe but without all the extra carbs! Give your mashed potatoes a little something extra with garlic and herbs! The extra flavor it adds is so tasty. 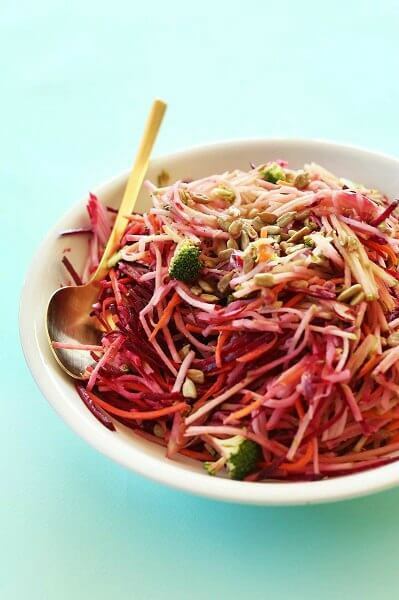 The colors in the Fall Slaw will make your table pop! Not only is it a beautiful side dish, it’s so festive! Kids love these glazed carrots. They are sweet and decadent. 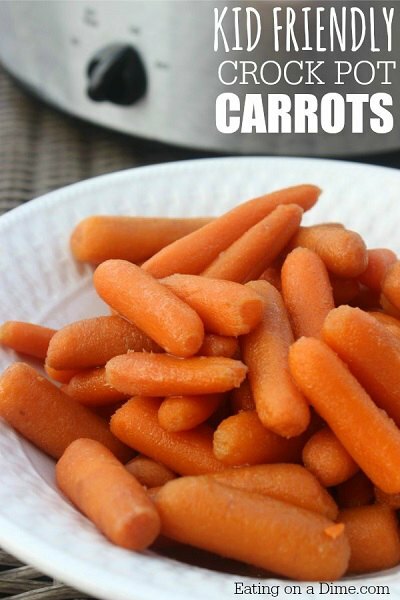 Even non carrot loving kids, will actually eat these (and love them). 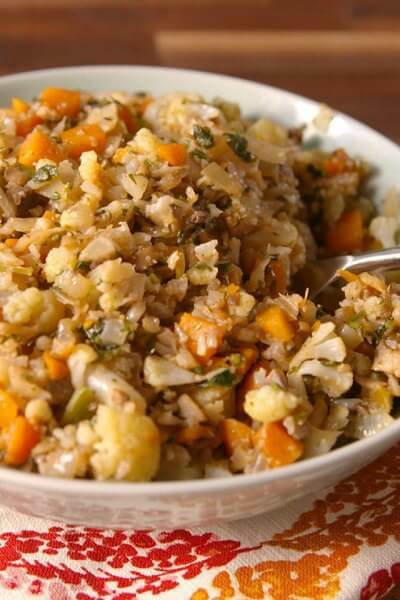 Use cauliflower instead of bread to make this low carb stuffing recipe. It is packed with so much flavor I bet you can’t tell the difference. 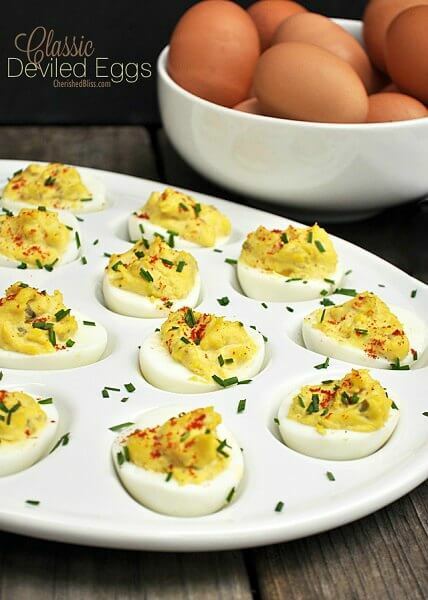 The classic deviled egg just completes a Thanksgiving meal. They are the perfect size and portion for a packed Thanksgiving plate. 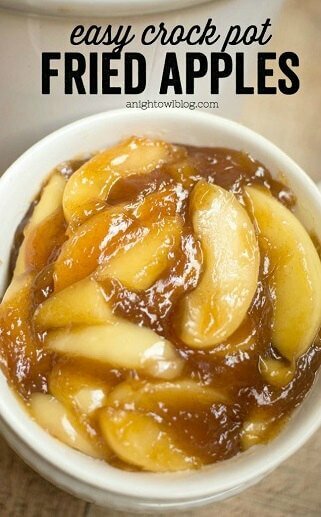 Make fried apples in the crock pot for a really easy side dish. The brown sugar and spices taste even better when slow cooked! 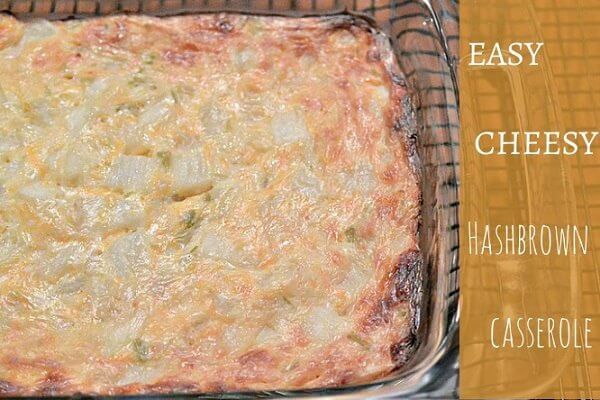 Try this corn casserole for a side dish that will soon become a family favorite. It’s sweet and savory all in one! 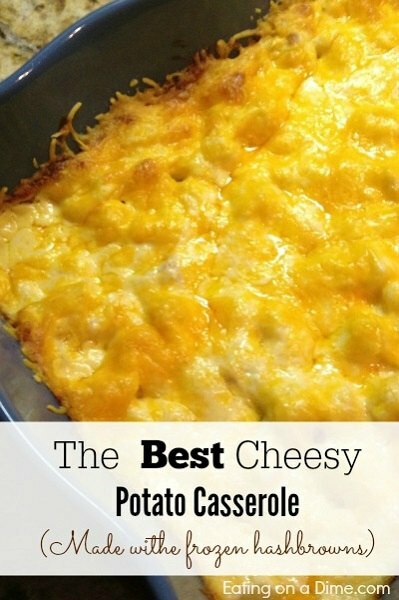 This is the best potato casserole and it’s so easy! It’s made with frozen hashbrowns so this side dish comes together really quickly. You will love all the cheese. This side dish is comfort food at it’s best! These are the best Thanksgiving sides! Which of these easy Thanksgiving dishes will you try? There are so many delicious recipes to choose from! It will be hard to narrow your list. If you are looking for something different than the Thanksgiving side dishes 2017 recipes, give these new ideas a try. From Thanksgiving vegetable side dishes to creamy potato recipes, these are the best Thanksgiving side dishes! You might also want to grab a few of these free Thanksgiving Coloring Pages for the kid’s table at Thanksgiving. These are also a great way to keep the kids entertained while you’re making Thanksgiving dinner or just a fun activity to do as a family. From coloring pages and word searches to name cards and place mats , there is something for everyone. You might even grab a few of those activity place mat printables or name cards for the dinner table too. We love making memories and spending time together. You might also try these Thanksgiving Craft Ideas that are perfect for all ages. From festive garland and canvas pictures to turkey hand prints and treat bags, there is something fun for everyone to enjoy. You might just find a few ideas for decorations to use on the big day. Get started making sweet memories with your family today! You can even make a Fall Bucket List with these Fall Activities for Kids. Easy Homemade Peppermint Sugar Scrub that Smells Amazing!